No one loves Christmas more than Chrysanthemum Parker. As she and her grandma Gertie are discussing plans for a possible Christmas celebration show, Sheriff Gideon Gumption arrives to say that escaped convict Jedediah Thornside may be in the area. Jedediah actually is in the area with his partner-in-crime, Belinda Burnheart. They’ve concocted a sinister plan to swindle the town away from its current deed holder, the sheriff himself, and cancel Christmas! Through a series of blunders, Sheriff Gumption falls for their scheme and the town now belongs to the villains. Soon Grandma Gertie’s great-nephew Roscoe and his wife Maisie, who is clearly pregnant, arrive looking for a place to stay for the night. Sarsaparilla Sam directs them to the root cellar of his Root Beer Emporium and Inn, the only available space in town. When Jedediah and Belinda appear, they are just in time for the birth of Roscoe and Maisie’s little miracle, Jack (which means “God is merciful”). Suddenly the townspeople are reminded of the story of Christ’s birth. Watching the new parents’ tender moments with their infant, Jedediah destroys the contract and everyone agrees to celebrate Christmas the way it should be -- with the Christ child as the focal point. About 90 minutes. A: I had used some of these characters in a series of sketches created for a Kids Camp. 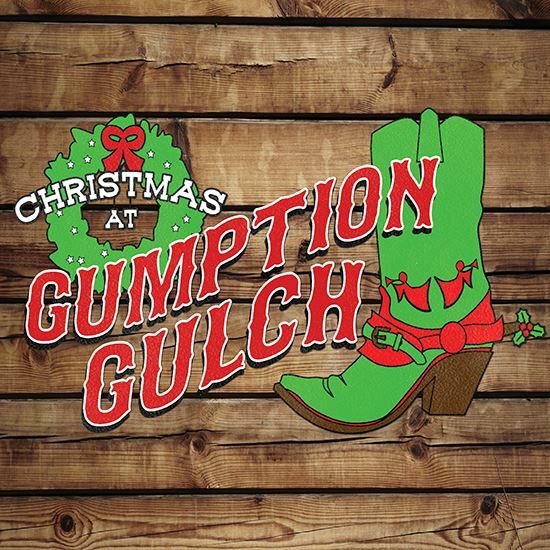 At my wife's urging, I amped them up a bit and put a holiday spin on the plot with the end result being Christmas at Gumption Gulch. A: I'd have to say the audience participation segments. In our debut run of the show, I'd move around the audience and talk to folks. I was assessing their willingness to step onto the stage later in the night. Then, I selected a group of audience members to move up to the front two reserved rows. Our cast chose people from those rows. A: Well...I think life has allowed me to cross paths with very 'unique' personalities. I'm sure any author would say that a little bit of real life inspiration goes into their fictional characters. A: I wanted a different Christmas play. Every group was performing the same style (traditional) holiday production. I figured an Old West comedy that brought a nostalgic feel and emphasized that Jesus is the center of Christmas was a good way to go. A: Please don't be afraid of the audience participation segments. I found that more people are willing than I anticipated. We had some great performances from our unsuspecting audience members.